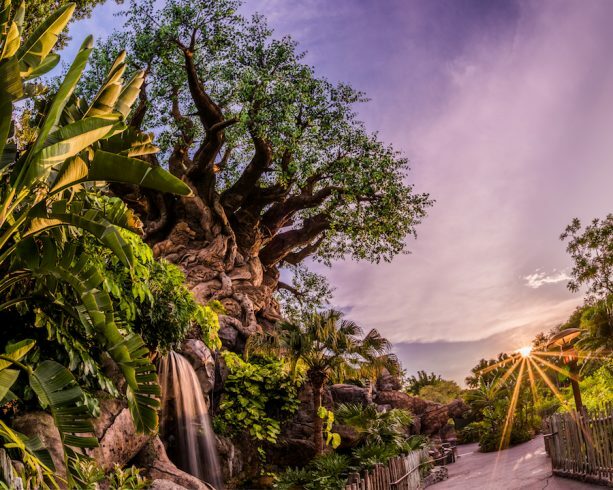 Disney’s Animal Kingdom will celebrate its 20th anniversary on Earth Day, April 22, with an expanded “Party for the Planet” celebration April 22-May 5. Rafiki’s Planet Watch will take center stage for the celebration, which will offer backstage experiences that allow guests to learn about animal nutrition, visit the veterinary hospital, or hear how Disney promotes global wildlife conservation. Guests can also commemorate their anniversary visit to the theme park with special photo opportunities, and kids can earn a limited-edition badge as part of the Wilderness Explorer program. Six different Tiffins Talks, themed dinners hosted by animal experts at Tiffins full-service restaurant will be available to guests who want to learn more about the animal residents at the park. And limited-edition merchandise will also be available for purchase, with one piece being a special-edition print created by renowned Walt Disney Imagineer Joe Rohde. (He will be available to sign prints on April 22 from 1-4 p.m. at Discovery Trading Company. Quantities are limited). For more information on the 20th anniversary of Disney’s Animal Kingdom, visit Disneyworld.com/PartyforthePlanet.